In this guide, you’ll learn mobile SEO best practices to create a mobile-friendly website and mobile content to improve your website’s mobile SEO ranking. Are you a business owner who’s paying thousands of dollars to create content for their company blog? Or a blogger who doesn’t have the time to write content for your own blog? Are you afraid that all your effort blogging will be wasted because you can’t create enough content? How would you like to learn how to blog without writing? To get free, expert content without writing a word or paying writers thousands of dollars to do it for you? No, it doesn’t involve content writing software, writing bots or AI content generators. Rather it involves learning how to get free, unique content to your blog by turning it into a magnet for content. How important is personal branding? According to US PR firm Edelman, 65 per cent of Internet users regard online search as the most trusted source of information about people and companies. People go straight to Google, Facebook or LinkedIn to help them decide whether or not to do business with a person or organization. “By building up your personal brand, you’ll be able to put your best foot forward online — which will also influence your success in the real world as well,” notes SmartInsights. We research online before we decide whether to do business with a person or organization. Here’s how content marketing can help build your personal brand. With the rising popularity of connected devices, that includes mobile devices like smartphones and tablets, people around the world are consuming a huge amount of content. If you include conventional desktops and laptops, the number goes up even more. 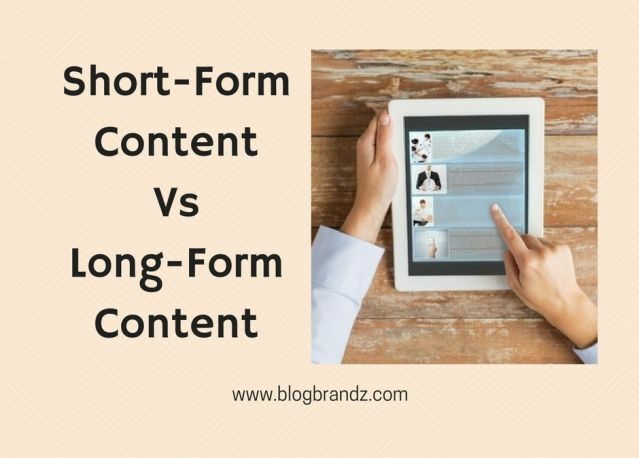 However, whether individuals or organizations, marketers have faced the dilemma of choosing short-form content over long-form content for their content strategy. 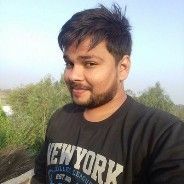 Truly, the right way to approach this confusion lies in adopting an appropriate mix of long-form and short-form content as both have their advantages. With the glut of online content and the reducing attention span of readers, many organizations are opting for short form content for their content marketing needs. Most of this short form content is in the form of blogs and infographics that are less than 1000 words in length. How would you like to have an article that gets 70K views, 11K+ shares, and close to 500 comments? That happened to Alex Pirouz who posted an article on LinkedIn’s publishing platform. With over 400 million users in a professional environment, LinkedIn is the perfect social media platform to share your industry knowledge, build your expert status and establish thought leadership positioning. 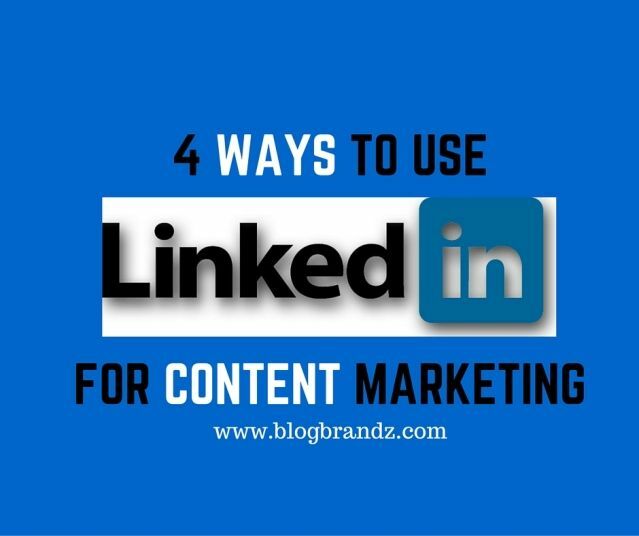 Using LinkedIn for content distribution is becoming essential for any business, and especially for B2B companies because you can easily target your audience using information in their profiles.